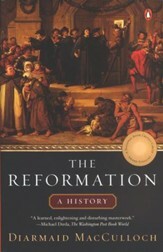 A classic biographical and theological introduction to the Reformation through its chief proponents.Theology of the Reformers articulates the theological self-understanding of five principle figures from the period of the Reformation: Martin Luther, Huldrych Zwingli, John Calvin, Meno Simons, and William Tyndale. Distinguished scholar Timothy George establishes the context for the reformer's work by describing the spiritual climate of their time. Then he profiles each reformer, providing a picture of their theology that does justice to the sope of their involvement in the reforming effort. First published in 1988, this revised edition of Timothy George's Theology of the Reformers marks the books twenty-fifth anniversary. This updated volume includes a new chapter and bibliography on William Tyndale, the reformer who courageously stood at the headwaters of the English Reformation. Also included are expanded opening and concluding chapters and updated bibliographies on each reformer. 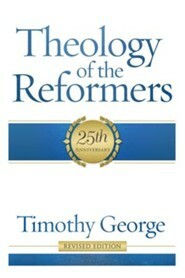 First released in 1988, this 25th Anniversary Edition of Timothy Georges Theology of the Reformers includes a new chapter and bibliography on William Tyndale, the reformer who courageously stood at the headwaters of the English Reformation. Also included are expanded opening and concluding chapters and updated bibliographies on each reformer. 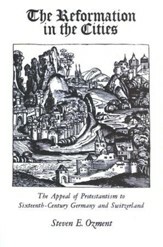 Through and through, Georges work provides a truly integrated and comprehensive picture of Christian theology at the time of the Reformation. Like many otger professors, I made Timothy George's 'Theology of teh Reformers' required reading when it first appeared--because it was clear, reliable, historically sound, and theologically rich. Now a good book has become even better in this new updated and expanded edition. For professors, students, and a much broader reading public, it is just the book to prepare thoughtfully for the 500th anniversary of teh Protestant Reformation in 2017. This revision reminded me again that Dr. George is an incredible historical theologian writing an incredible theological history to the glory of an omnipotent God! A classic compelling volume written by one of evangelicalism's most prized thinkers. 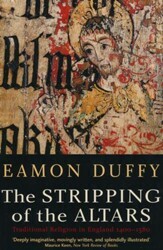 A masterpiece of penetrating theological analysis and lucid historical narrative. This classic study of sixteenth-century Protestant theology (with a new chapter devoted to William Tyndale) deserves to be rediscovered by a new generation of Reformation scholars and students. 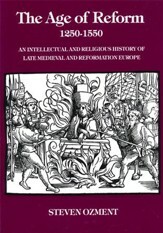 I'm the author/artist and I want to review Theology of the Reformers, 25th Anniversary Revised Edition.